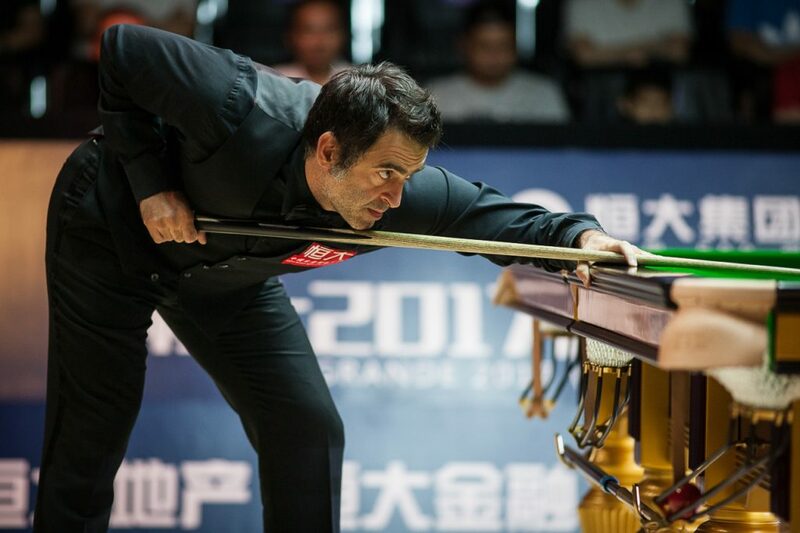 Ronnie O’Sullivan is safely through to the last 32 of the Evergrande China Championship after a 5-2 defeat of Sam Baird. The Rocket was competing in his first ranking event match since losing an epic World Championship quarter-final to Ding Junhui in April. O’Sullivan lost the opening frame but it didn’t take him long to shake off any signs of ring rust, making a sublime break of 124 to level at 1-1. He took to the front in the third frame, before a run of 91 ensured he went into the mid-session interval 3-1 ahead. When they returned the five-time World Champion made it 4-1, but Baird kept himself alive in the next with a clearance of 42 to take the frame on the black. O’Sullivan got himself over the line with a century run of 100. World Champion Mark Selby also progressed after seeing off Thailand’s Noppon Saengkham 5-1. Selby missed the start of the season due to a toe injury, but has got his 2016/17 campaign off to a strong start this week in Guangzhou, having only dropped two frames in his opening two matches. A run of 64 helped the multiple Triple Crown winner to claim the opening frame. Saengkham then restored parity by taking the second frame on the black, but that was as good as it got for the Thai. Selby claimed the next four frames on the bounce to take the match, closing out with a fine century contribution of 123. 2003 UK Champion Matthew Stevens came from 4-2 down to record an impressive 5-4 win over Mark Allen. The Welshman had led 2-1 thanks to breaks of 85 and 43, but world number 10 Allen went on to take three in a row and move 4-2 infront. He had looked set to clinch the tie after making 63 in the seventh frame, but Stevens made a clutch break of 70 to steal the frame on the black. He claimed the last two frames to edge out a massive win. Zhou Yuelong produced a fine burst of form to also come from 4-2 behind to defeat compatriot Chen Zifan 5-4. The talented Chinese teenager made consecutive breaks of 80, 104 and 94 to turn the match on it’s head.